The radar on the F-15s picked up the blip of the transport plane, a DHC-5 Buffalo, 370 miles into Mediterranean airspace. The fighters closed rapidly. They read the tail number, saw the blue-and-brown markings. They were positive they’d found the right plane. It was the afternoon of Oct. 23, 1982. Deep beneath the ground of central Tel Aviv, inside the Israeli Air Force’s main command-and-control bunker, code-named Canary, the pilot’s question played over a loudspeaker. All eyes were on the commanding officer. Everyone expected an order to open fire, but the air-force commander in chief, Maj. Gen. David Ivry, usually a decisive man, was hesitating. He knew that his fighters had everything they were supposed to have: a positive visual identification, a clear shot in open skies over empty ocean. 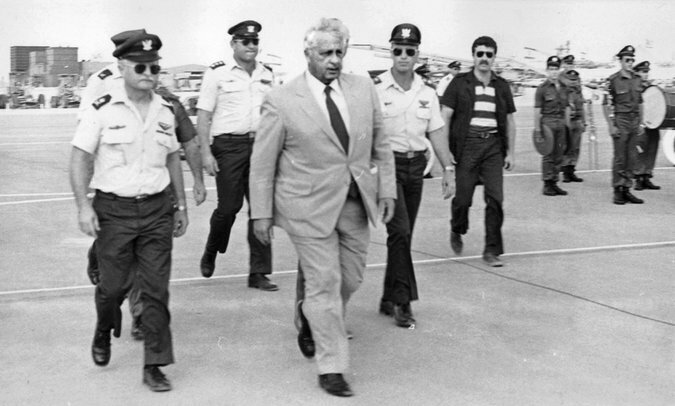 The go-ahead to shoot down the plane and the passenger it was carrying had come from the minister of defense, Ariel Sharon. Their job — Ivry’s job — was to eliminate targets, not select them.